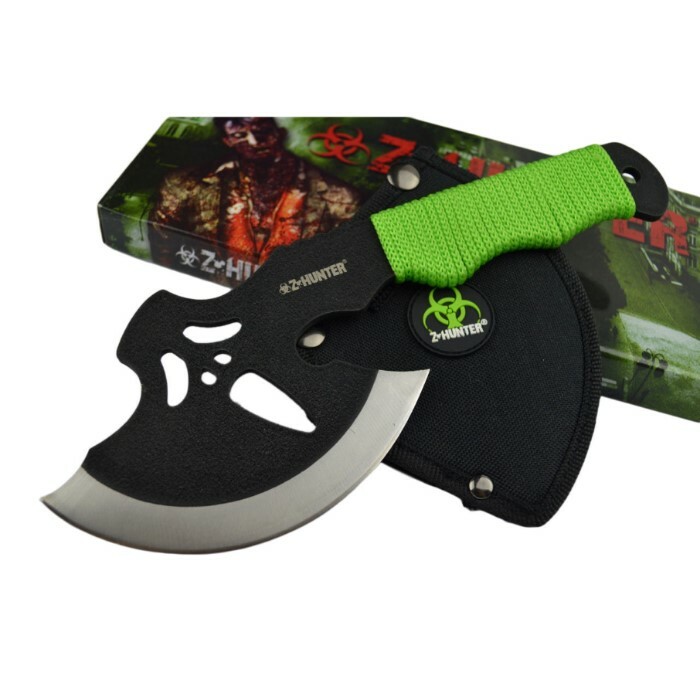 Zombies cannot strike when you're using this 9.5" zombie axe that was made for precision, beauty and skill. 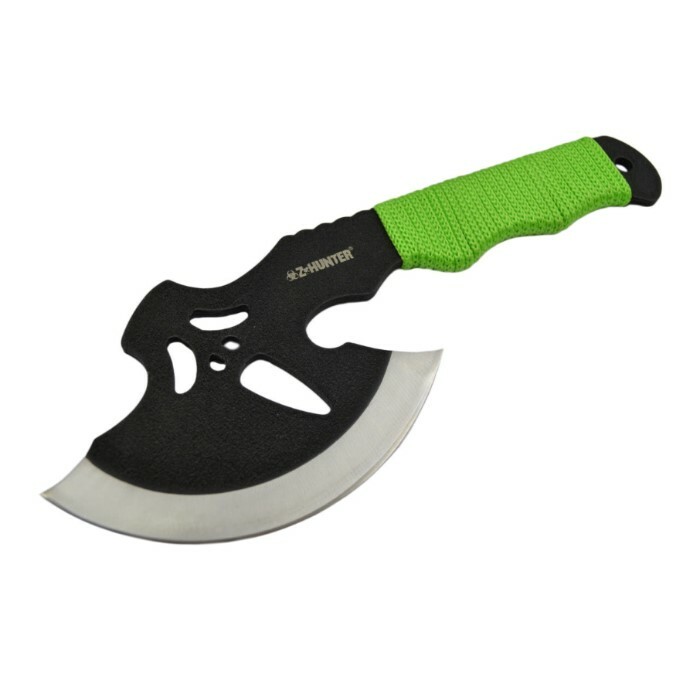 Through the use of this sharp axe, everyone has a chance to get out there and take life to the fullest. 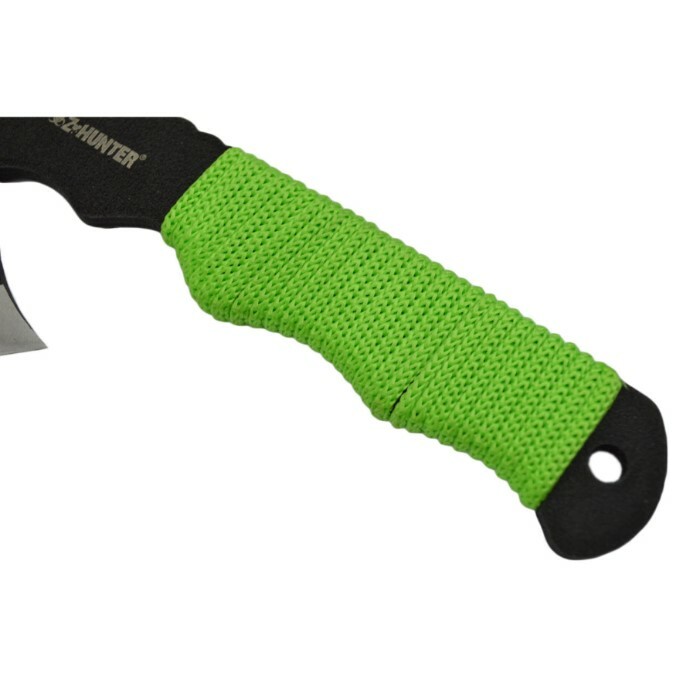 The black rough paint blade gives it a worn down look that matches the green cord handle. 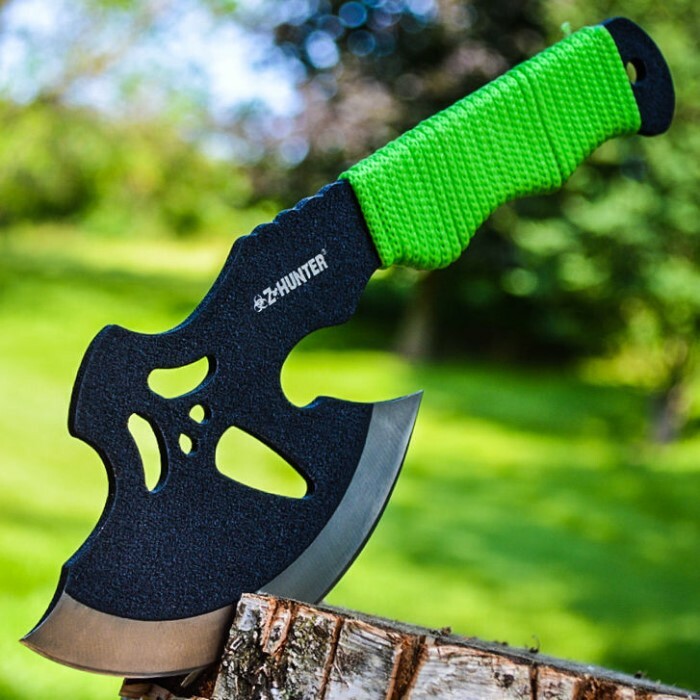 Stay on top of the cutting that you need to do, feel good while doing it or just hang the axe on the wall and admire the fact that you have one.